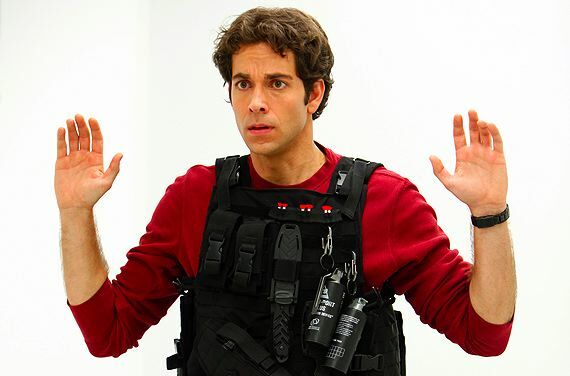 Episode Review: CHUCK, "Chuck vs. the American Hero"
Chuck continues to get better and better each week, but unfortunately the show loses viewers each week too. After tonight's "American Hero" I cannot imagine why any "fan" would turn his or her back on such a great show. I know I say this every week, but tonight's episode was the best yet. It had Chuck manning up and telling Sarah how he feels, it had Casey coming clean about Chuck's red test, it had Sarah ready to run away with Chuck, it had Awesome tackling Shaw, it had Jeffster showing their stalking expertise. It had everything! I am hoping and praying that tonight's episode shows a real rebound in the ratings because this show cannot be cancelled while it's in its prime. It just can't. We need one more season, that's it, and I'll be a happy man. « Next Episode: "Chuck vs. the Other Guy"